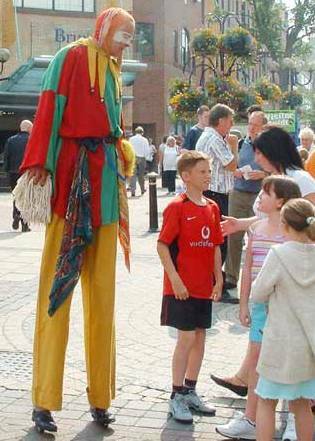 Derek Carpenter, known to many as Bo The Clown is so skilled there's hardly room to put it all down! 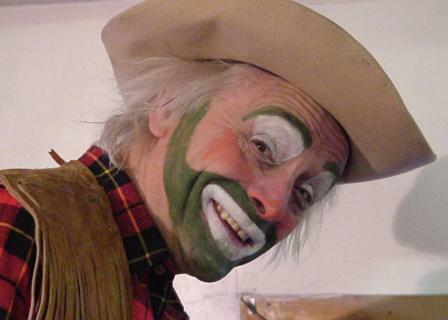 Derek is a street entertainer with many years experience, he and his son have their own arena shows which includes his NEW ECO CLOWN CAR Show with loads of comedy and clowning thrown in for good measure. 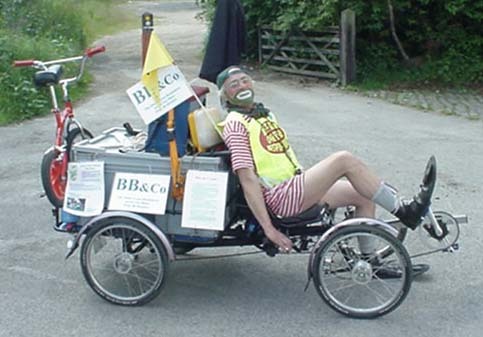 Other options he offers is his multi-bike, suitable for 5 people and ideal for Parades, or how about his Pirates Show or any number of his vast and ever growing collection of costumed characters...? Bo’s comedy Car show is moving with the times, gone is the Petrol engine (1969 Mini) and instead, an all electric, motor vehicle, powered by battery and refuelled by the Sun! Bo has pimped his vehicle re-upholstered externally... and internally, a tree grows! Where is all this going? Utilising its own sound system with s <?xml:namespace prefix = "st1" ns = "urn:schemas-microsoft-com:office:smarttags" />ampler and radio mic 25 inbuilt tricks, including fire, smoke and water, even peddle power... Bo’s new Green Energy Car, has it all! Book now to avoid imitations. (1) A roped off area or steel barrier (NOT STRAW BALES) at least 40 metres square for mobile show or 30ft square for static show. (3) Sound can be supplied or existing PA used but we need notice of which it is to be. No where possibly! But comically definitely. Utilising its own sound system with s ampler and radio mic 25 inbuilt tricks, including fire, smoke and water, even peddle power... Bo’s new Green Energy Car, has it all! Book now to avoid imitations. 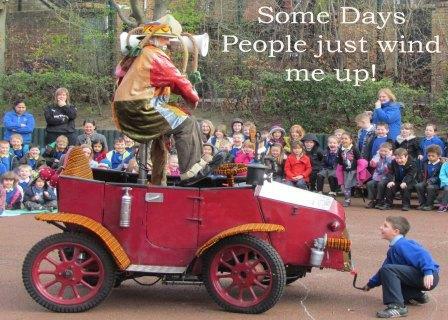 He'll take you from a simple mechanical to a thorough nervous breakdown with his hilarious carryings-on ! 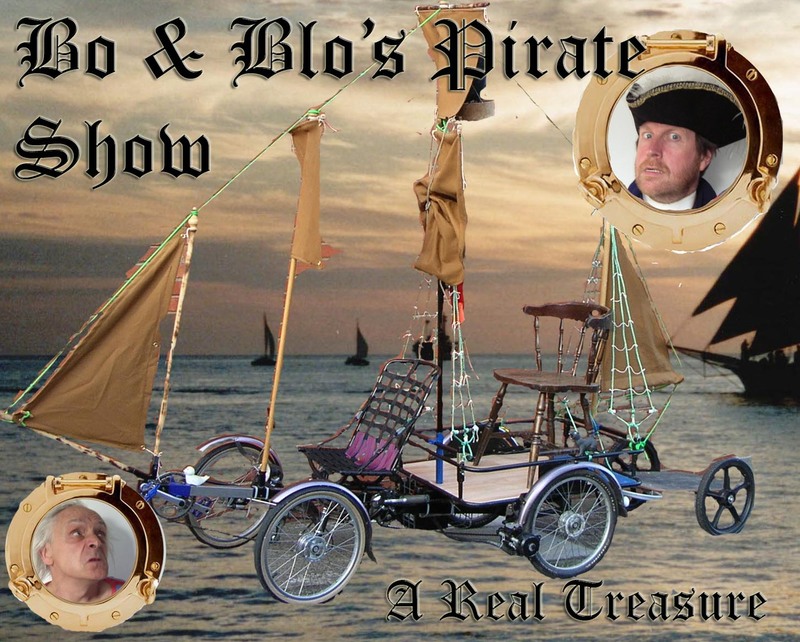 Bo & Blo's Pirate Show is 45-60 mins of mirth and pirace madness. - Bo has the traditional Punch & Judy box as well as this delightful Walkabout Punch & Judy and his Kamishibai Punch & Judy. Different and amusing and surprisingly mobile ! 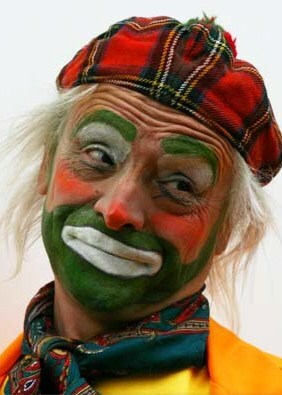 - a traditional tramp singing and dancing in full-face clown makeup with clowning. - American singing cowboy. We all love the tales of the Wild West, the folk law, gun law!!! Hold it right there pardner... some things have changed. Lonesome is a Cowboy with a mission Eco friendly PC correct, ask his analyst. Give him five and shoot the breeze. Listen to good old American homespun philosophy as wholesome as Aunt Jemima's apple pie. Get deputised and join his crusade ! - Balladeer boulevardier with stilts-bike and own onions. 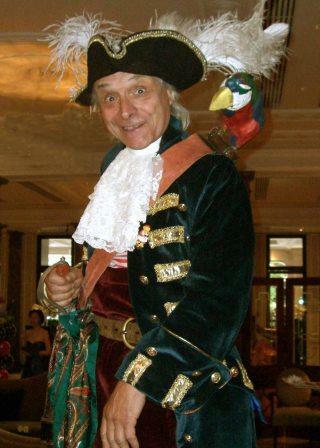 Add real garlic flavour to your event with Chanson the sweet talking onion salesman from Gay Parie... On a secret ission from the French government, learn the secret of his Gaelic charm, be wooed by his winning ways, swoon to his melodious voice. 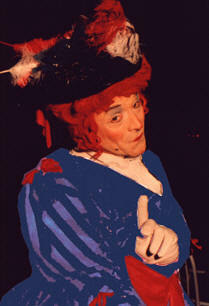 For a man who really know his onions.... book Bo Chanson ! - Knight in rusty armour. 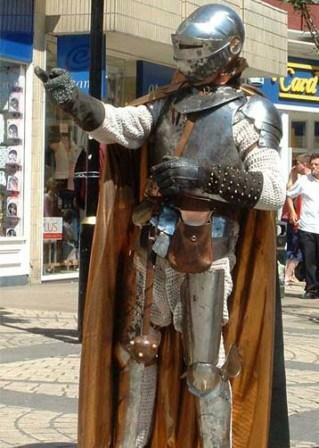 Sir Clankalot, your knight in shining armour, has arrived at last. (Only 300 years late... blame the buses !!!) Book now before rust sets in. - 17th Century Wit, Rake, Shovel and Spoon. 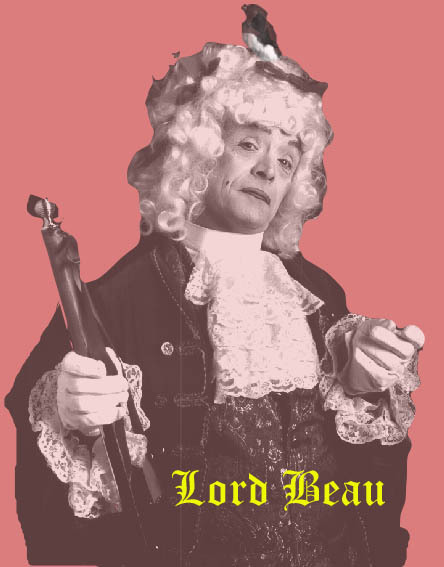 My name is Lord Beau, from a long time ago... when the Wit and the Fop wer plenty, where Masquerade balls were held in Grand Hall, for the privileged and rich cognisanty. 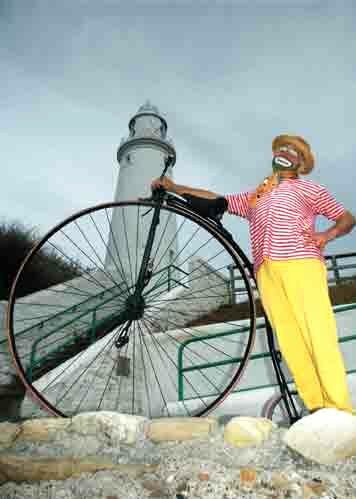 - Singing chimney, Solid Fool Advisory Centre. I'm Nutty, my name's Nutty Slack, I'm a chimney, a big Pot, a Stack. Christmas is Nutty's time he will give you a warm Glow a Solid Fool !! !